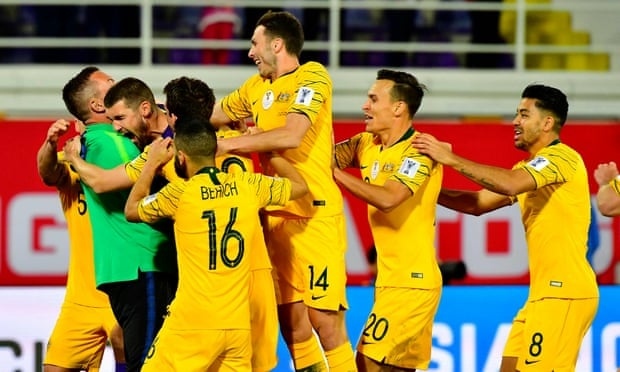 AKIPRESS.COM - Australia needed penalties to beat Uzbekistan, but thanks to two saves from Brighton’s Mat Ryan they went through 4-2, and into the quarter-finals of the Asian Cup 2019 in the UAE. Mat Ryan saved two of the White Wolves' penalties, denying Islom Tukhthakhujaev and substitute Marat Bikmaev. The shootout came after a tense match, which lacked many clear opportunities, finished goalless after 120 minutes. Now Australia will face the hosts after Kyrgyzstan lost to the UAE 2-3 in extra-time penalty.